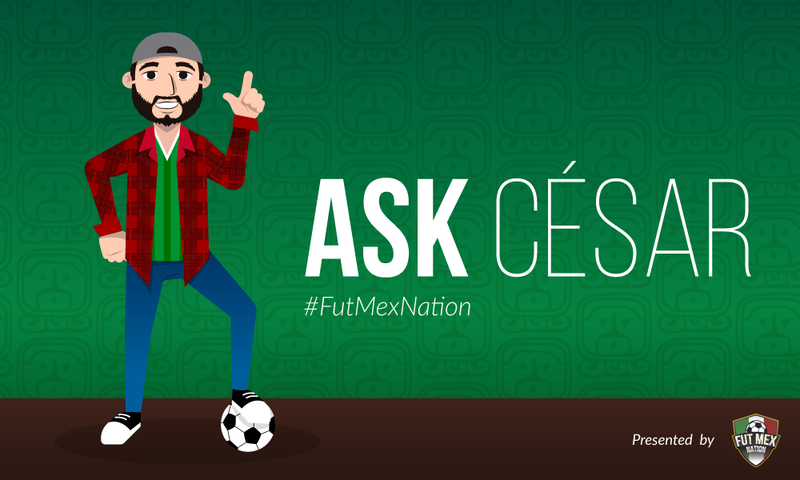 #AskCesar: The Confederations Cup, player transfers and “Chucky” Lozano. If you haven’t had a chance to watch the video preview, you can watch it here. If you’ve already done that, let’s get this week’s #AskCesar started! Would it be a failure if Mexico doesn’t make it out of the Confed Cup group stage? Most definitely. Would that be enough to justify a firing for JCO? I don’t think so, and that also depends on how El Tri plays. I think we would also have to consider Mexico’s results in the Gold Cup as well. Do you think the guardado signing will convert as many people to mls as the league is hoping for or nah? I don’t think so. Andres Guardado will bring some viewership and attention over, but it won’t be on the same level of a potential signing like “Chicharito” Hernandez or Carlos Vela. When it comes to publicity those two are in a category of their own for Latinx and Mexican fans. That said, I can see what LAFC is trying to accomplish here. Although Guardado isn’t at the same superstar level of a Chicharito, he is still a brilliant and accomplished midfielder. He might not guarantee ticket sales, but he will easily help guarantee wins. What happens first: US team in LigaMX or Mexican team in MLS? I’m genuinely getting excited over the thought of either one of these options haha. I say Mexican team in MLS because the league would be more willing to take risks with new projects. How incredible would it be if Juarez, Tijuana or Monterrey had a team in MLS? Do you play for a Tie vs Portugal (a la USA) or attack? Is a conservative attack a fair answer here? 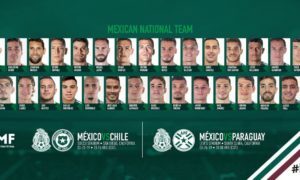 As practical as it might be to aim for a tie, Mexico needs to play to its strengths and utilize some of those talented names in the attack. I’m not saying El Tri will get a win this weekend, but I would prefer aiming for a strong start to the tournament. In your opinion, What club would be ideal for #Tecatito to transfer into in order to continue his growth and make him one of Mexico's best? I like the idea of him earning UEFA Champions League minutes, but also with a club that he will have a chance to potentially earn a key role in a strong league. Teams like Roma and Sevilla come to mind. I’ll go with La Liga’s Sevilla, who are in the playoff round of qualification for the Champions League group stage. Does Mexicos chances go down a little after tecatito left the squad? They unfortunately do, Tecatito was our wild card. Mexico still has enough attacking talent to do well in the Confederations Cup, but the winger would have been an excellent source of unpredictable dribbling and breathtaking shots. Good or bad for player? Who do u think will make it farther in their career, Montes or Edson Alvarez? That’s a good but tough question. Difficult to predict at this early point in their careers, but I’ll go with Montes. The 20-year-old player already looks like a veteran on the field for Monterrey. It’s going to be fascinating to see how his talents develop over the next couple of seasons. Qué pasó con Tecatito? why he left other than personal reasons. Y Why is Cubo not in the Gold Cup Roster? He's having a killer Season. Honestly, who knows about Tecatito’s situation. I don’t believe the rumors of him failing the drug test rumors though. Also, with “Cubo,” he is still eligible for the Gold Cup roster but isn’t training with the team because of the current MLS season. The final Gold Cup roster, which could include Cubo, is scheduled to be released on June 27th. Will LigaMX clubs add a new star to their crest when their women's team wins a championship? Should they? I don’t think so. Personally, I think it would be cool to see a separate crest for either side, along with a blank slate for the stars on the women’s crest. Any progress on Musto or Bou ➡️ Xolos? Multiple reports have stated that both are set to join Xolos, just waiting on official confirmation. Really excited to see Bou for Tijuana. I blame my parents, my love for soccer and UCSC. thoughts on Guardado to @LAFC rumor? Check out my answer from earlier. I don’t blame him for making the move at this point in his career, but this isn’t going to help the national team. Do you miss Santa Cruz? Would you ever want to live in Mexico? If so, where? I constantly miss Santa Cruz. Unfortunately, there is no way that I can afford to live there anymore. As for Mexico, I like the idea of living in Guadalajara. Soccer culture of course helps, but it would be cool to live in the same city that my father grew up in. Should mexico sit back and play for the tie or exploit the open spaces against an opponent that's going to constantly be pushing forward? When is Mexico going to produce a talent like Pulisic ? Our good friend Nayib Moran has made the argument that Diego Lainez might become that Pulisic type of player for Mexico. 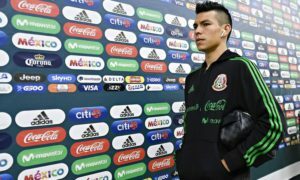 Hirving Lozano, although older, also has the potential to make a name for himself in Europe as well. Somewhat. There’s something to be said there about the passionate but also critical fanbase for either side, but Mexico hasn’t won a World Cup title like England. We are just a big fish in a CONCACAF-sized pond. Will DJ cuddles ever find love? “A woman without a man is like a fish without a bicycle.” – DJ Cuddles quoting Gloria Steinem. How can Mexico move away from the puto chant? Too many people want to hold on to this problematic chant. Bans, fines and halting games aren’t going to stop this. Education programs and proper fan engagement will. FMF and Liga MX have done a lazy job of dealing with the issue. It’s also up to us to be willing to have conversations with fellow fans while also not being disrespectful toward them. Over time, I’m hoping that the only people left saying the chant in the future will be weird and out-of-touch tios. Why does everyone fall for J.C.O sweet words, Mexico is walking in the hexagonal but there still isn't a style of play defined. Why? I would be lying if I were to say that I haven’t become a big fan of JCO. The extreme and detailed methods of preparation, the trust he has gained from players and the mentality that is changing within the roster is becoming evident. 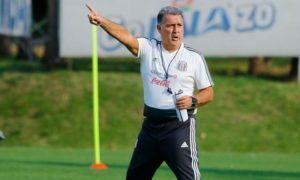 I think there is a defined style that focuses on Mexico’s talented wingers, but the coach is also more than willing to change his approach during certain games. However, most of his success has arrived against CONCACAF rivals. It’s going to be interesting to see if he will either win or lose faith from a large section of Mexico fans after the Confed Cup. Predict the teams who are going to be in Mexico group in next year World Cup. I have no idea haha. I’ll let you know once the draw happens in early December. How well do you think Xolos will do next season with the future additions of Bou and Musto, and the current base of players remaining? You know what, I was really worried about Xolos until “Chacho” Coudet’s press conference last week. He made it quite clear that he prefers a dynamic and intense attack, which could benefit some players on the roster like Paul Arriola or Juan Martin Lucero. The arrivals of Bou and Musto (once confirmed) should also do plenty to help the team that is now missing several key players. I’m not saying they will be title contenders, but I think they will be a Liguilla-worthy squad. who do you lineup vs. Portugal? As much as I would love to reveal that, I need to wait until the next FutMexNation video is released that has my ideal lineup. Stay tuned! Looking at recent trades, I would say Aviles Hurtado to Monterrey. He is one of the league’s best players but has yet to win a title since his arrival in 2013. He recently turned 30 as well. It was the right time for him to make the big move. 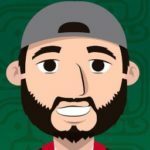 Any word on why Tecatito is out? As mentioned beforehand, I’m not entirely sure. Could be a number of things but I’m not buying the drug test rumor. @cesarhfutbol #AskCesar why do people call Lozano Chucky?